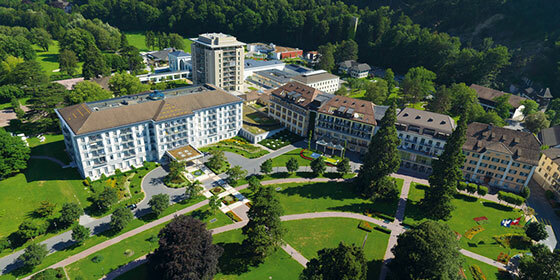 Experience a unique combination of wellbeing, medical health, pure luxury, a relaxing environment and numerous sports facilities, surrounded by impressive Swiss nature. Let yourself drift along a river of thousand senses to re-energize and focus on your very own personal wellbeing. Located in eastern Switzerland, about an hour from Zurich, the Grand Resort Bad Ragaz lies in lush parkland at the base of the majestic Alps. Immersing guests in traditional Swiss culture and hospitality, the luxury resort, comprising the Grand Hotel Quellenhof & Spa Suites and the Grand Hotel Hof Ragaz, promotes the concept of "tranquility, spaciousness, and time." 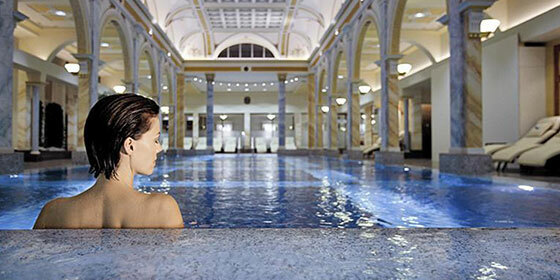 Bad Ragaz in the St. Gallen Rhine Valley at the foot of the Pizol has a long tradition as a health spa. 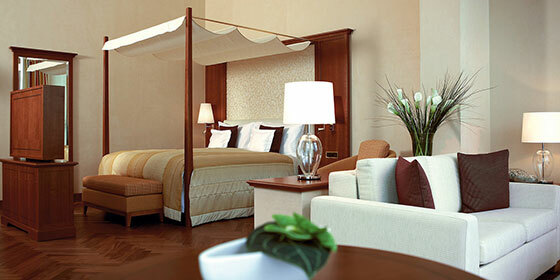 Today it is a wellness resort with top-class hotels, thermal baths and golf courses. The warm (37°C) healing waters bubble up from inside the mountain in the deep, mysterious Tamina Gorge in nearby Pfäfers. From the middle of the 13th century pilgrims journeyed to the Abbey of Pfäfers near Bad Ragaz, where the Tamina Valley opens into the Rhine Valley, to bathe in the thermal waters. Luxury hotels were built to accommodate wealthy travellers, including Russian nobility, and, like the richly traditional Grand Hotel in Bad Ragaz, they still attract guests from all over the world. 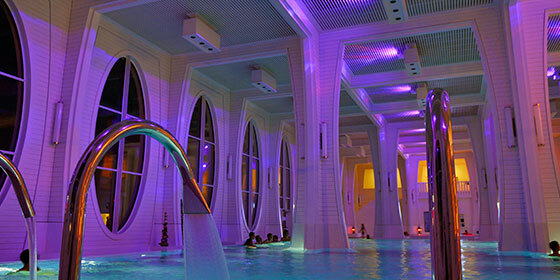 Today Bad Ragaz with its Tamina Thermal Spa, offers a broad range of medicinal and wellness packages.